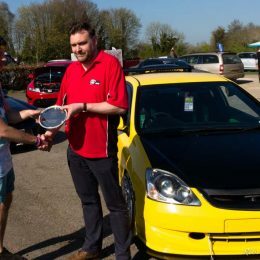 The UK basked in scorching weather this past weekend, which helped to make Castle Combe’s Spring Action Day, long viewed as the unofficial ‘opening match’ of the car show calendar, the place to be for those driven by barking VTECs, growling Hemis and thundering Cosworth YBs! 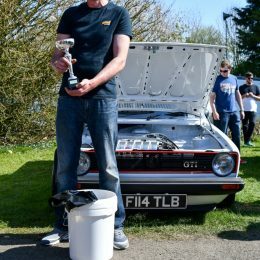 2017’s Spring Action Day has already been proclaimed as the busiest to date, with almost 2000 club cars, countless modified motors and thousands of passionate fans descending on the Wiltshire circuit. 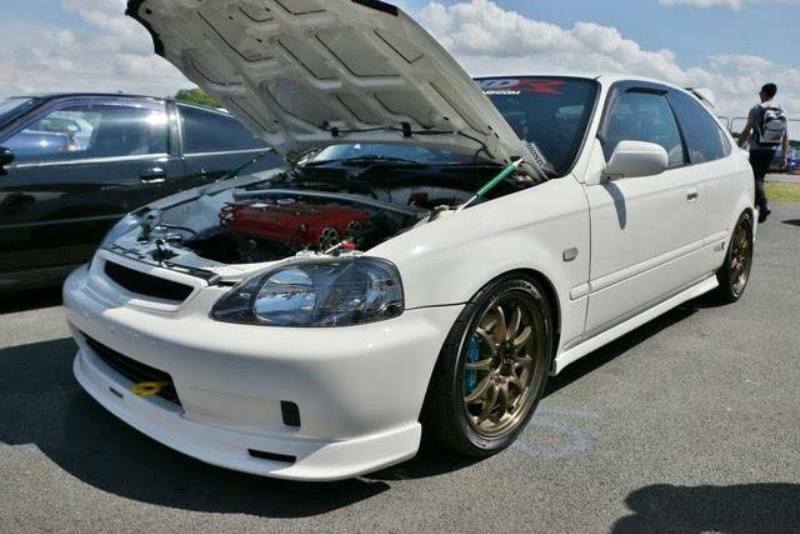 Car clubs lie at the very heart of Spring Action Day; they make the event what it is and has always been, a fitting celebration of tuned, high performance cars of all shapes, sizes and eras, and represent the very best the UK’s modified community has to offer. 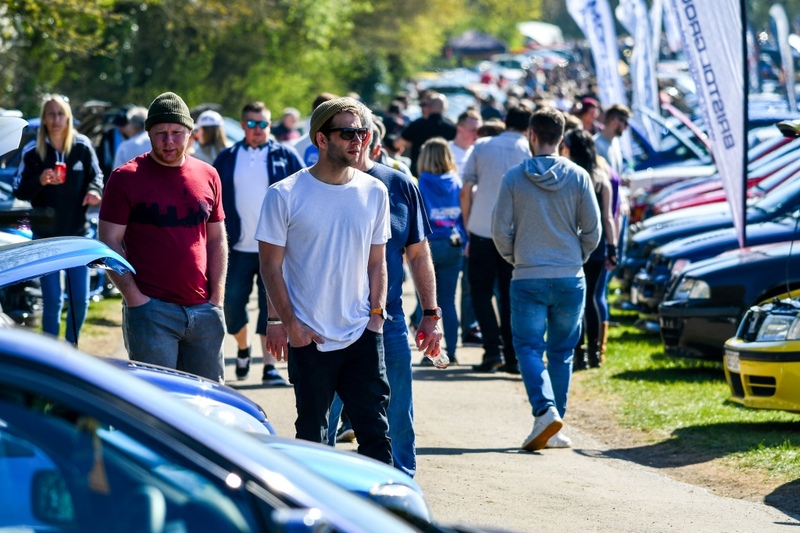 2017 saw the biggest Spring Action Day turnout ever – quite an achievement when you remember that this is a long running show and a fixture of the Castle Combe calendar. 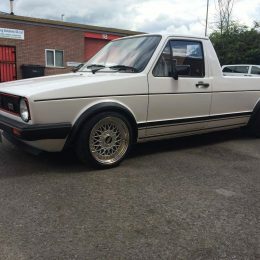 The massive turnout ensured that there was no shortage of cars to be admired, with models representing every major car manufacturer in some form or another, all looking flawless and gleaming in the glorious, non-stop sunshine. 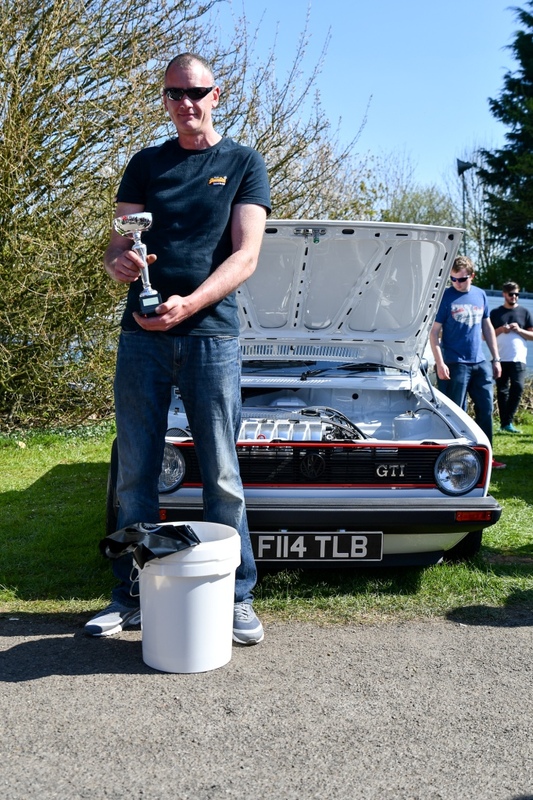 Spring Action Day 2017 saw representatives from the circuit’s judging team hand out a number of coveted awards for a selection of hotly contested categories, with the Show and Shine competition being one of the most hotly contested. 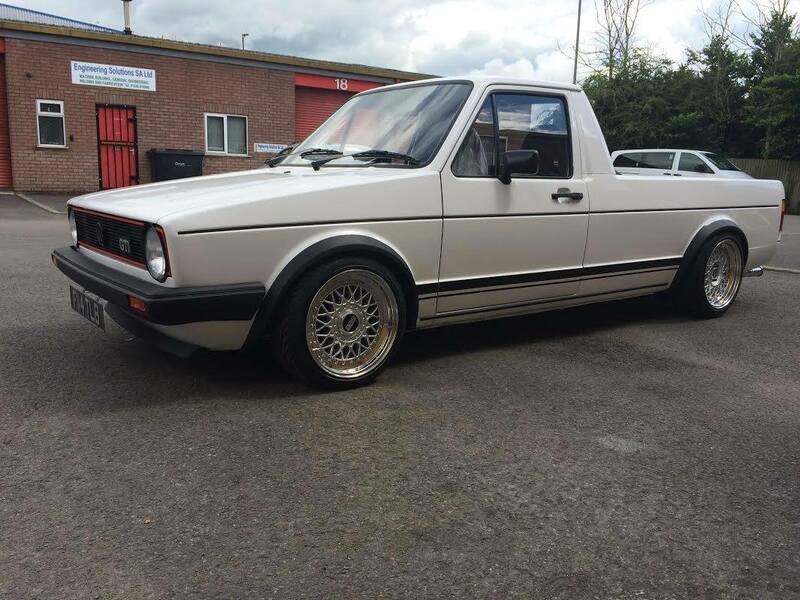 1St place ultimately went to Kieran Barnett and his immaculately presented, BBS-shod VW Caddy, a commercial vehicle so clean you could have eaten your dinner off of it – though we suspect Kieran would have some choice words for you if you did! 2Nd and 3rd places went to Rory Hamilton (Mercedes Benz W115) and Andrew Boyle (Honda Civic Type R EK9) respectively. 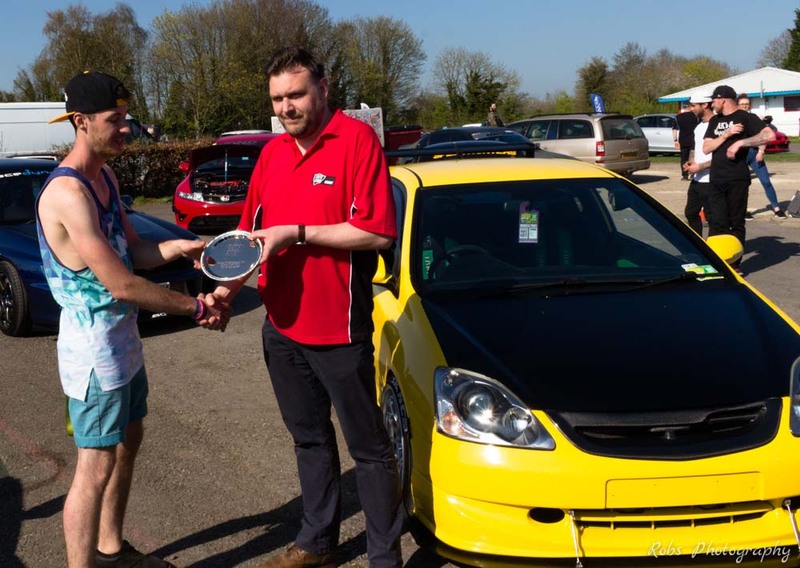 Gongs for Club of the Show and Car of the Show were also handed out, the former going to Eurocartel for their amazing display, the latter awarded to an especially mighty Honda Civic Type R EP3. The track itself was a hive of non-stop action, all eagerly watched by the throngs of increasingly sun-singed spectators. 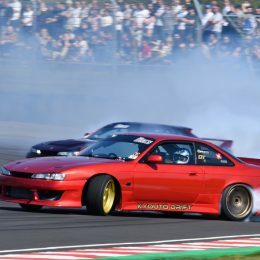 A handful of bookable track sessions gave those in attendance the opportunity to experience one of Britain’s fastest and most demanding circuits from the ‘hot seat,’ while dedicated drift demos at 12pm and 3pm entertained those unable or unwilling to head out onto the circuit for themselves. 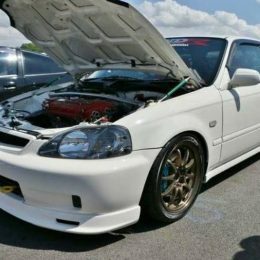 It all made for a compelling, high octane mix, the perfect centerpiece to an action-packed show like Spring Action Day. 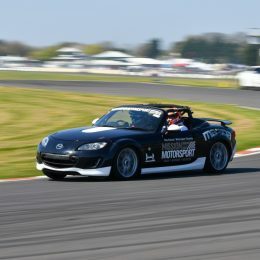 Capping off a truly amazing day for all associated with Spring Action Day, the hot lap heroes at Mission Motorsport (the forces’ motorsport charity) were able to amass well over a thousand pounds, a frankly astonishing figure. 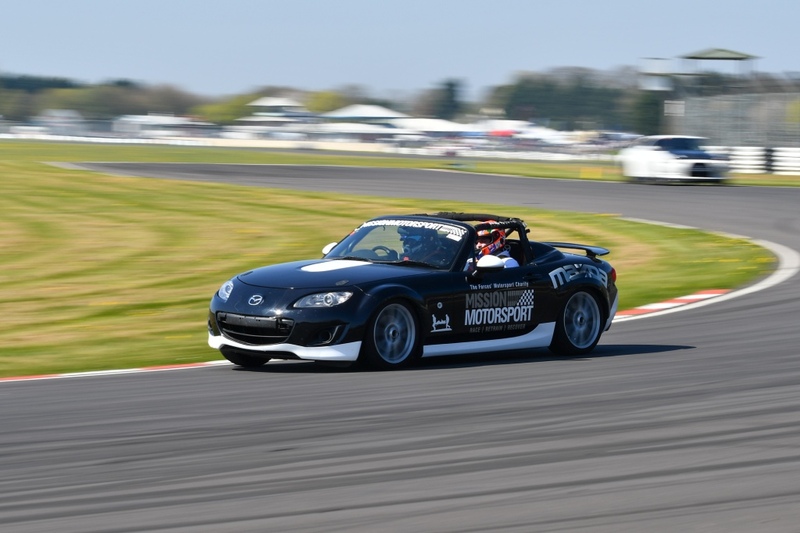 Not only was this easily Mission Motorsport’s largest single sum from a one day event, it will enable this highly committed organisation to continue to improve the lives and recoveries of ex-service personnel throughout the UK. 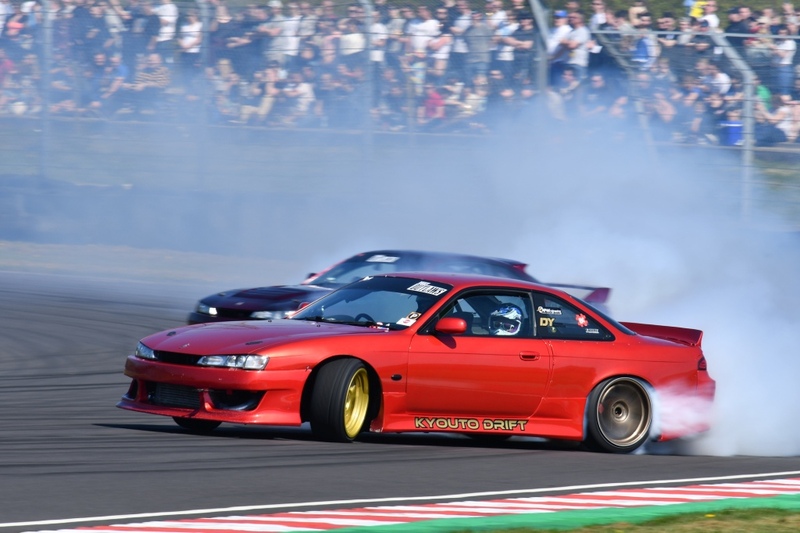 Underlining its position as one of the South West’s ultimate family friendly venues, Spring Action Day provided entertainment for car fans of all ages – including those some years away from being able to have a license of their own! Factor in the trade village (bigger and more varied than ever before), the stunning weather and the wide choice of refreshment choices, and it’s easy to see why 2017’s installment was such a massive hit with families. 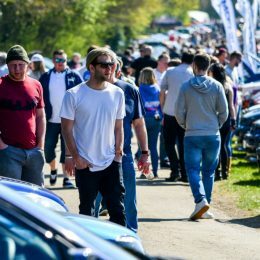 Castle Combe would like to thank everyone that made Spring Action Day such an incredible success by coming along and supporting it, especially the clubs, traders, marshals, events team and security. It goes without saying that Spring Action Day simply wouldn’t exist without your continued support and attendance. The event organisers would also like to take the opportunity to apologise to any local residents upset or in any way inconvenienced by the massive turnout, a direct result of the exceptionally fine weather.